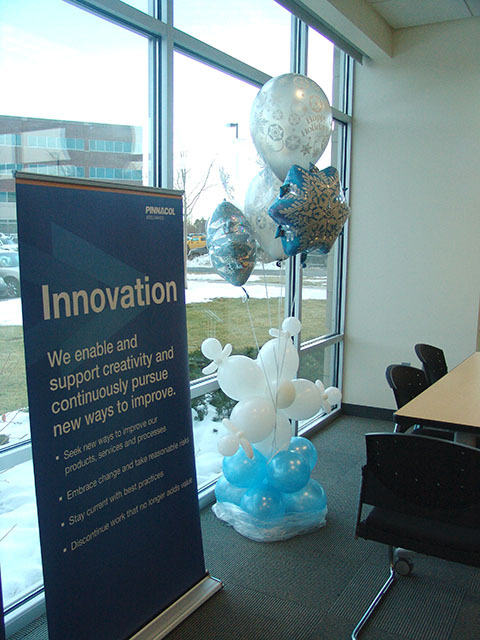 Here are a couple of cool characters that were great balloon centerpiece ideas for a corporate meeting in Aurora, Colorado. 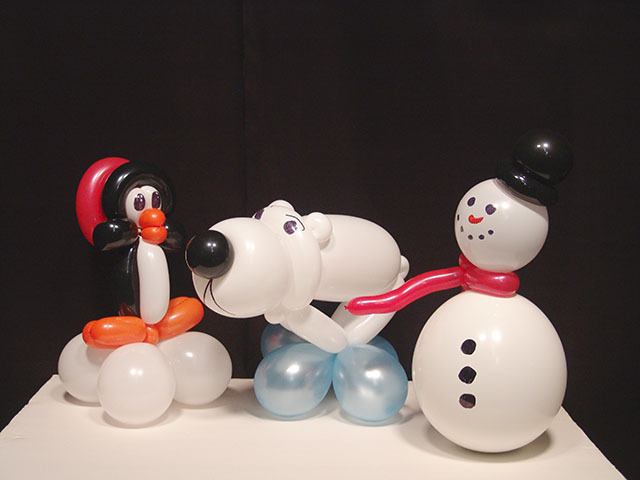 There is Chilly Willy, and a cute polar bear and an always stylish snowman. We can create any cool centerpiece for any themed party. 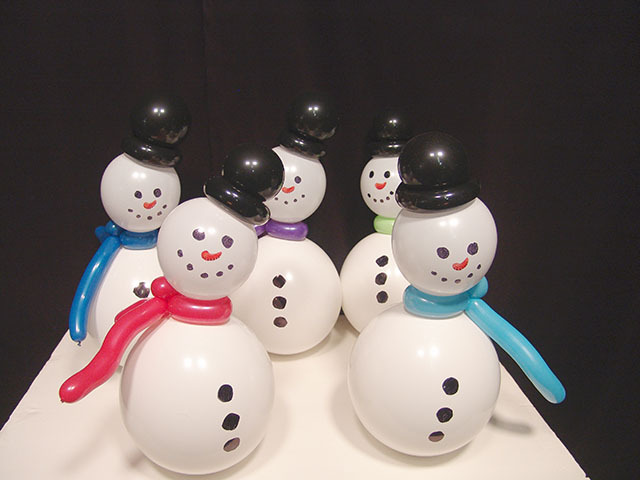 Add some real cool to your next corporate meeting with these cool snowflake balloon columns. 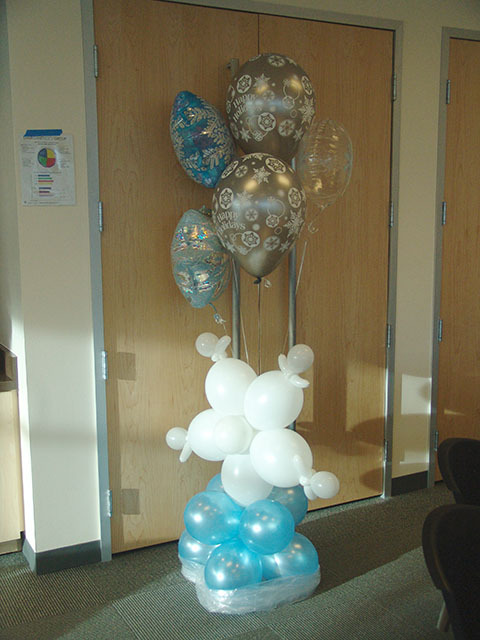 These were for a company in Aurora, Colorado. We can spice up any meeting room. Call us now to see how we can create excitement for your next meeting.